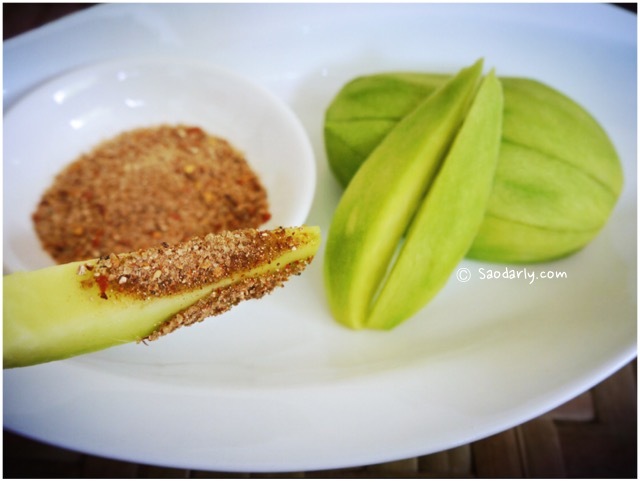 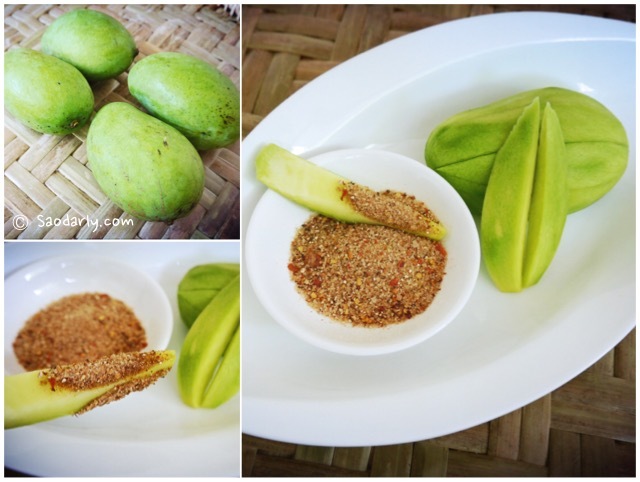 Young Green Mango (MakMuang; ຫມາກມ່ວງ) with Salt Dip (Jeow Keua; ແຈ່ວເກືອ) for afternoon snack. 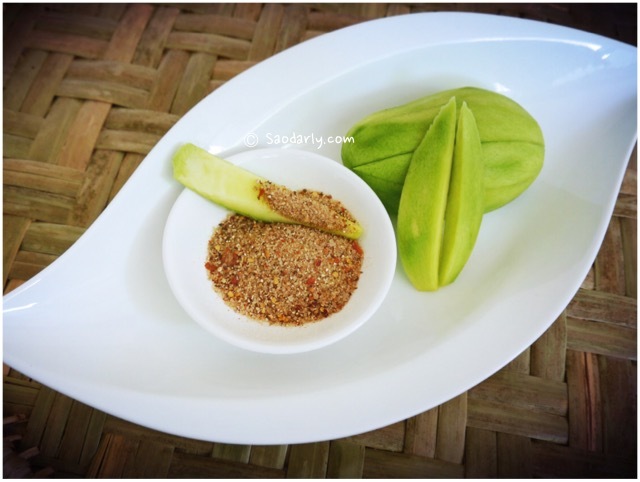 The salt dip is quite simple to make. 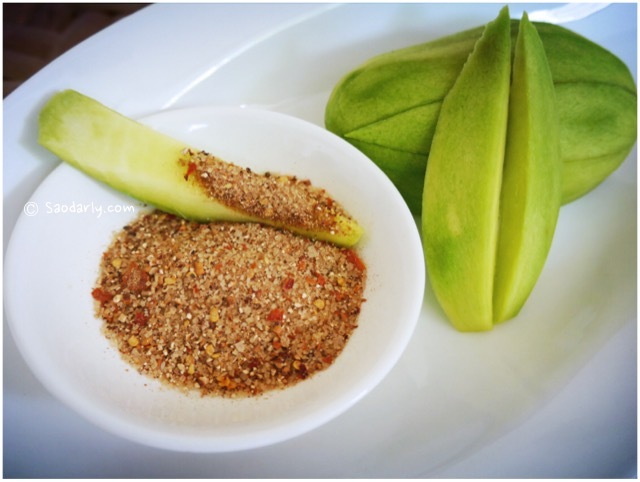 I mixed salt, sugar, ground roasted chili pepper, and ground roasted sticky rice together in a bowl. 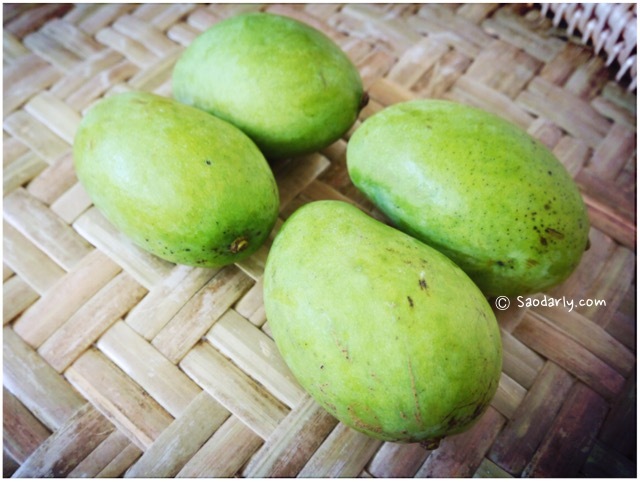 For those that are fond of Monosodium glutamate (MSG), then it is a must ingredient to add for a complete taste.